The Guardian of the First, Second, and Third floors of Nazarick, she has the form of a beautiful vampire girl. She's also in love with Momonga. She and Albedo constantly clash for his attention. While the two don't mind sharing Momonga, they still fight for superiority and who would ultimately appeal to Momonga. 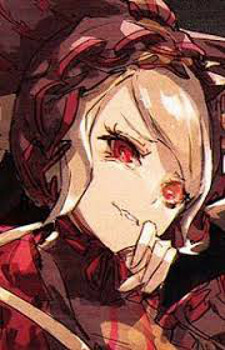 Shalltear is one of the most powerful guardians, allegedly capable of going toe-to-toe with Albedo. Due to an incident where she is subjected to mind control by a member of the Black Scripture, she ends up unintentionally rebelling against Nazarick.